The International Orienteering Federation (IOF) published the new ISOM 2017 last week which replaces the ISOM 2000. For IOF events between 1 May and 31 December 2017, both ISOM 2000 and ISOM 2017 could be accepted (see also IOF News). 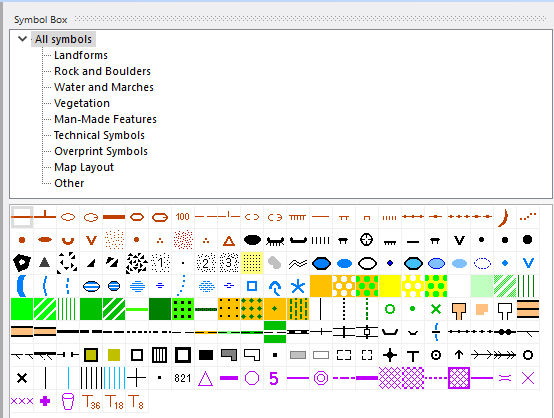 We have created the new symbol set and released it in the OCAD 12 Service Update 12.2.1. These symbol sets are in English language. We are working on the translations. We have tested the new symbol sets carefully but they still can contain errors. If you detect an error please report it as soon as possible to support@ocad.com . Thanks for your collaboration! We have also created a conversion table between ISOM 2000 and ISOM 2017. This table file ISOM 2000 to ISOM 2017.crt is in the OCAD program subfolder \crt\ (e.g. C:\Program Files\OCAD\OCAD 12 Edition\Crt). Use the function Map -> Load Colors and Symbols From to load the new ISOM 2017 symbol and using the conversion table. So download and install the latest OCAD 12 Service Update or register for OCAD 12 Trial version. You can download the OCAD 11 symbol sets from this link. Please unzip the file and copy the 6 files to the OCAD program subfolder \Symbol\ (e.g. C:\Program Files (x86)\OCAD\OCAD 11 EDITION\Symbol/ ). Please note that it is not possible to convert an ISOM 2017 OCAD 12 course setting project to OCAD 11, because the preview objects have other symbol numbers. – 110 Small Elongated Knoll: Symbol is not oriented to north. – 203.001 Cave: Symbol added. Symbol is not oriented to north. – 312 Spring: Symbol is not oriented to north. – 501 Paved Area: Border line added. – Color ‘Green 50% – Area Feature’: Number changed. – 307.001 Uncrossable Marsh (Minimum): Symbol number changed to 307.002. – 307.001 Uncrossable Marsh (Area): New symbol without border line added. – 201.005 Impassable Cliff, Pit (Minimum): Symbol number changed to 201.006. – 201.005 Impassable Cliff (Minimum): New symbol without tags added. – 202.003 Cliff (Minimum): New symbol without tags added. – 508.005 Narrow Ride or Linear Trace (Short Line): New symbol added for short lines without a gap. We recommend you to download the Service Update 12.2.1.1348 from Help menu -> OCAD Service Update and install it. This entry was posted in OCAD 11, OCAD 12 and tagged OCAD 12, OCAD 12 Orienteering, Professional Map Making on April 10, 2017 by OCAD Team. Congratulations with the extremely fast publishing of the symbol sets! I am wondering why you have chosen to still publish symbol sets for different scales. The ISOM2017 was designed to be scale “neutral”, meaning that the mapper should not have to worry about scale before preparing for printing. 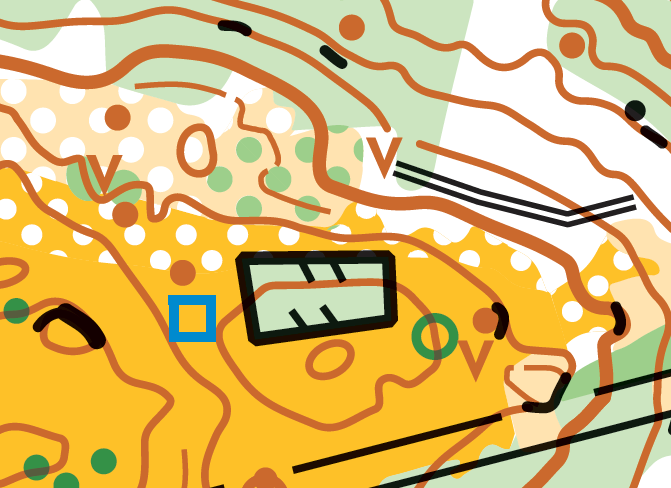 The IOF Map Commission was in this way hoping that the ISOM2017 could reduce the complexity of map making, and that OCAD would be able to only publish “Orienteering Map ISOM 2017.ocd” and “Course setting ISOM 2017” symbol sets. It would be nice to get an explanation of why OCAD has decided to still publish scale versions of the symbol sets. Håvard, Thanks for the post. It is more useful for the mapper if she/he want to draw a map in the scale 1:10’000. So he can start with the map in the correct scale (1:10’000) and the symbols have the correct size (150% enlarged). Am I correct in assuming that ISOM 2017 new symbols set will only be available from OCAD 12, and that it will not be available in earlier versions of OCAD (9/10/11)? The new symbol set is also available for OCAD 11. The link can be found in the OCAD 11 section of the blog post.